Once you have a clock, set a marker (a cone, shoe, whatever) for teams to race to. If it’s a long distance, there is no need to come back, but if you’re cramped for space, have them do a round trip. Just make sure the marker is equal distance for all teams. Person one starts with the tunnel in the down position (closed shut) and then allows the tunnel to expand up over them. 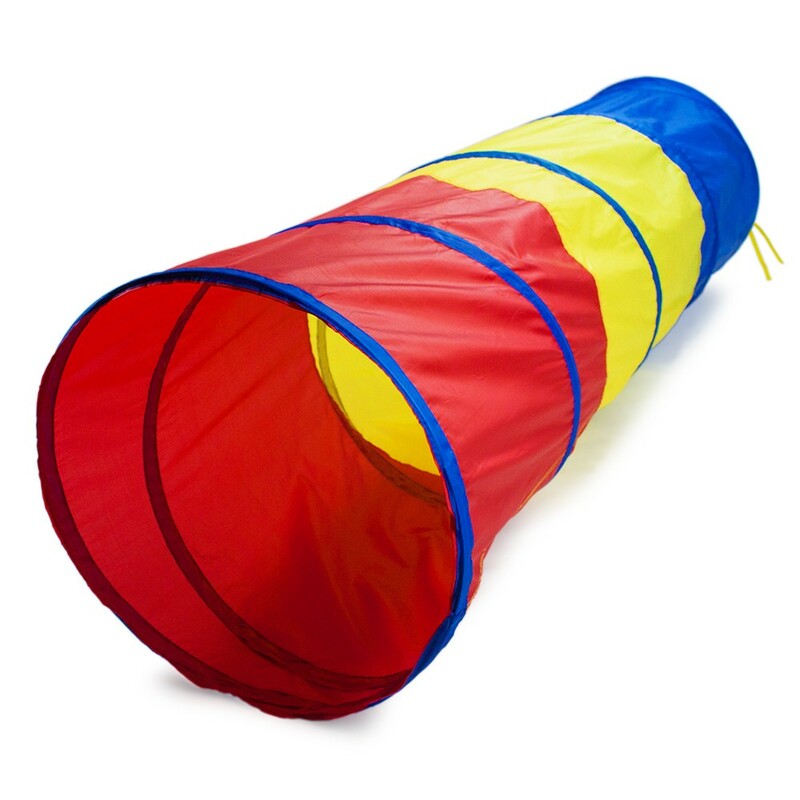 Using their hands, they will need to push the tunnel over their head and the next person, standing in front of them, will then take the tunnel and push it down their body, back into the closed position. Holding the tunnel in place (closed), they will step out of the tunnel, slide it forward for their teammate to step into and repeat the process. First team to reach the finish line with the tunnel in the closed position wins! 1. Play the same game, but use teams of 3-5 instead of 2. 2. Instead of teams of two, have everyone line up for a relay. They will simply pass the tunnel from front to back and then back to the front again. No one will need to move locations for this game, as it is pretty stationary. 1. Ask some people with children if they have a tunnel you can borrow to save money. 2. Do a brief demonstration of this game, rather than trying to simply explain it. Teams will quickly catch on and it will save a lot of time and clear up any confusion. 3. Make sure to have some upbeat music in the background while teams are racing.